The book-series about our most early prominent figure, Moses, from an equally remarkable, ancient historic era is an original and independent contribution to a re-evaluation of the historical Moses and his status and time. These works of Ove von Spaeth, Danish writer and researcher on history, are founded on cross-scientific cultural and historical research, summing up archaeological findings, textual research, and astronomical dating. All recovered material is also related to the Bible, the Rabbinical Writings as well as various, important authors of antiquity. The task comprises 25 years of concentrated research and the results - finally released in 5 unique works on history concerning Moses and Egypt besides a special dissertation on dating the world's oldest star map (Egyptian), a pioneering work directly published internationally through a journal for the history of science. - In all, it is the biggest religious-cultural history research work ever in its genre - also, it is the most comprehensive interdisciplinary science project in this field to be carried out by one person alone. Many handed-down sources and findings have been put into a greater context for the first time and the coherence should be judged in its entirety. The books are not based on single sources or solitary decisions. On the other hand, their foundation is the very presentation of a long series of clues and indications; these may be considered a "special offer", an admission to rare materials useful to benefit further research. Moses is one of our early history's most insightful and spiritual personalities. 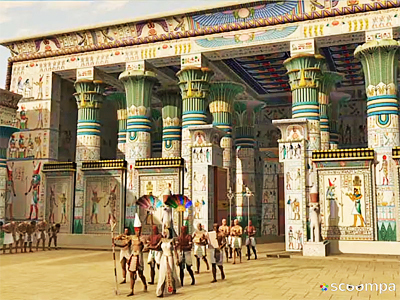 The work by Ove von Spaeth brings to life unique material about Moses' adventuresome, dramatic background in and outside of Egypt. New knowledge about the very person behind the myth and influence still being of importance to our present culture: These books on the historical Moses vitalize unique materials of new discoveries and interesting finds, revealing new aspects of the enigma of Moses at important historical interrelationships. The material presented is by itself a decisive extension of the survey and it causes a so far more versatile enlightening picture of Moses. In addition it uncovers how Moses himself was connecting to a number of far-sighted and unusual achievements, which few know about today. These activities are referred to by rare sources in ancient history which greatly esteemed his versatile talents: - a wide-ranging personality, who, besides being a great leader and law-giver, was known in addition by his talents as a general and philosopher, founder of a religion, a person also versed in astronomy, - and even a mystic, a magician, healer and inventor. 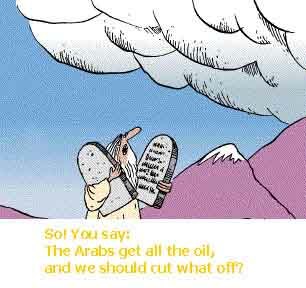 The Law of Moses, the most advanced codex of ancient times included a surprising number of modern principles: environmental laws, social laws, human rights laws, the right to asylum, animal protection, hygiene regulations and military ethics. A code of law with ethical survival factors which are essential to this very day as well. In each volume of the book-series is brought to light new perspectives relating to Moses' activities. - And in addition - enlightening him as one of our history's greatest founders, who appears still as an invisible fellow player; - his historic traces can be sensed behind several of present time standards in society and culture. The books can be read without previous scientific qualifications. And the books' message is not an attempt to present Moses' "curriculum vitae", nor is it "documentary fiction", or a historical account distributed by fashionable writing. Annotations have been left out in favour of coherence and legibility. Instead, annotations have been continuously included in the reading-matter. References of sources are given directly on the spot and may, as you like, be passed over or used in further documentation, just like to do with Summaries and Appendixes. The intentional lack of other current annotation is compensated for by a comprehensive bibliography with further substantiation of the information given in the books. The bibliography has been divided into various fields of subject in order to facilitate verification. 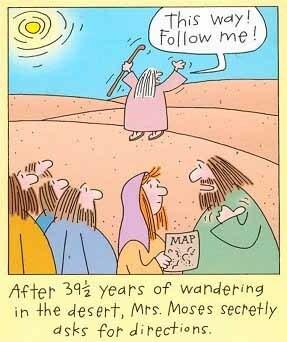 Moses' Identity and Mystery Re-evaluated. Rediscovering Moses' Hidden War Leading to Exodus. 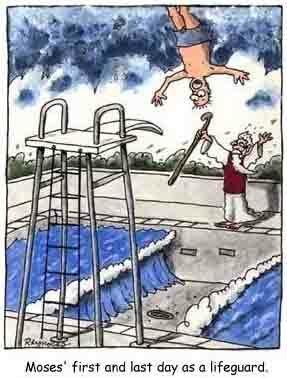 Moses and the Egyptian Heritage in the Past and Present. Illuminating Moses the Advanced Pioneer. "... It can be stated without any doubts that Ove von Spaeth's study represents one of the most potentially explosive theses in the research history of the Hebrew Bible, and it is the result of many years of serious, acute, and unprejudiced research. ... "
"... A unique cultural-historical store of knowledge, thoroughly brought to light by analytical research, which is top-grade - opens to a new historic dimension. An expansive, new-orientating presentation ... An impressive achievement, a brilliant publication ... ". "… In his book-series, i.e. "Assassinating Moses", a Danish researcher and writer has presented what - by international standards - may be considered sensational evidence on a connection between the history of Egypt and the existence of Moses …". The widespread circulation of the books should be evaluated on the background of the fact that their topics are presented in an easily accessible form with enthusiastic knowledge and experience. A presentation made out in a way so that everybody interested may participate in the reading. A considerable number of critics have stressed this quality about the books. Because of their inter-disciplinary scope of different study lines, fields, and demarcations, all the books of the series have proved to be excellently suited for study groups and courses - as well as for instance for private study units. For everybody interested in the brilliant ancient culture of Egypt related to the background of the narrative of Moses - and also with a desire for a broad-spectrum insight - these books will in particular be able to vitalize these subjects. The exotic background for a disputed historical sequence is here being concretized for the readers - systematically and conscientiously. Concerning the applicability at studies/courses, it can be mentioned that "The Suppressed Record", the first book of the series, has been included in the list of recommended literature about the history of Egypt, for official use by the basic school for experts of the Department for Development Aid of the Danish Ministry for Foreign Affairs, - as well as by the Educational Service Centre in Copenhagen. Cf. also official recording of the work in the "Market profile of Egypt" published by the Royal Danish Embassy of Egypt in Cairo, 1998/1999, Publisher: Ministry of Foreign Affairs. In many more respects the book-series on Moses based on ancient Egypt are qualified for study groups, courses, and related studying: The work has been acknowledged many times for its language and its progression in the course of reading simultaneously with the well-documented contents. "… super inter-disciplinary, - extremely thorough studies ... Ove von Spaeth has succeeded in presenting the results in a language and a style accessible to the man in the street. The book receives top marks for its presentation tasks. …"
"... is well written and easy to read and occasionally as thrilling as a detective novel ... The reservations should not prevent anyone from reading the book with profit, especially for the sake of its literary qualities. It has the ability to captivate and occasionally to disquiet, as well! ...". Also for study purposes, another advantage is the included flexibility made out so that the individual volumes may be read independently, freely and not necessarily connected to the complete series. The broad disclosure of the historical circumstances of Moses is an exciting and thorough introduction to several fascinating aspects of the old Egyptian world and the oldest history of Jews. Intervening traditional relations - still recognizable in present culture - are also being illuminated. Continuous, instructive summaries in the books support an interrelated understanding of the abundant and unusual material, a veritable gold mine. The work about Moses contains also thorough summaries on sources and research results in relation to Moses - and covers the subject to an extent so far unseen: a total bibliographical material greatly missed by international researchers. Ove von Spaeth has made his book's historical material especially accessible to be read without specific beforehand knowledge on the subjects. Von Spaeth's presented results in the books have raised a considerable interest also among other authors - both a serious professional interest and even directly inspiration. - Erling Haagensen, author and film director: "The Murder of the Word", Copenhagen (Documentas Publ. ), 2008; - the main characters, historians who are inspired directly in their research - from Ove von Spaeth's books the meticulous conclusions of which are quoted reliably and easy accessible in this crime drama. - Annie Dunch: "Life after Life", Copenhagen (Documentas Publ. ), 2007; - extensive quotations, and interviews. - Boran Novakovic, astronomer: "Senenmut: An Ancient Egyptian Astronomer", astro-ph, 8th January 2008, Publication of Astronomical Observatory of Belgrade: - quoting conclusions, and inspiration, in a scientific context. - Erik Juul Clausen, journalist and author: "Pharaoh's Eye: Atlantis' End - and the Ten Nuisances", Höjbjerg, Denmark, (Hovedland Publ. ), 2004. - Lènor Tancred, author and journalist: "The Herder Prince", Pretoria, South Africa, 2007. - Dianna Padgett, researcher. She is the author of, e.g. : "V I AMR - Becoming Manifest Transformation: A Qabalistic and Egyptian Analysis of Formula of Creation (- as found in Genesis 1-4)", Denver, Colorado, USA, (Tiamat Press), 2003 & 2006. - Marianne Luban, author. She has written, e.g. 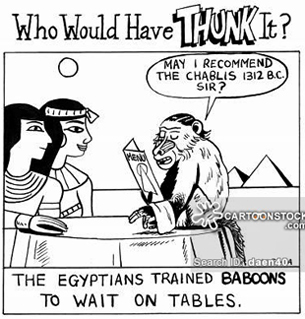 : "The Exodus Chronicles: Beliefs, Legends & Rumors from Antiquity Regarding the Exodus of the Jews from Egypt", Pacific Moon Publications, 2003, - &: "The Pharaoh's Barber", Pacific Moon Publications, 2008. - Communication and debate on Ove von Spaeth's exploration and discoveries concerning his research on the historical Moses, the Egyptian legacy, ancient sciences and astronomy - cf. http://www.facebook.com/group.php?gid=45399163234&ref=nf (in English and Danish). Since the book-series about the historical Moses and his Egyptian background also include, for example, information about the widespread initiation cults in antiquity, the books have been popular among many Freemasons. 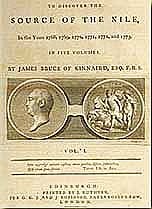 Moreover, in nearly all Freemasons' libraries in Denmark this five-volume series "Assassinating Moses" is to be found. In its department for related literature the library of the Grand Lodge of the Freemasons in Denmark (in Copenhagen) even keep an extra set of the book-series; and moreover, a huge, special depot of the entire collection of published reviews, debates and discussions on the book-series and in addition all copies of every article by Ove von Spaeth regarding both the Moses research and many related subjects. Altogether, a huge material from the author, all indexed and is comprising several thousand pages - for future studies. In addition, concerning the field of studies, research groups, and courses, the books may be a current introduction to further discussions, for instance about conventions and firm attitudes to subjects currently re-examined in the books. Here is the possibility for insights in tendencies showing the traditional research now undergoing a change - and in this respect, the material-collection of these books will contribute to lining out the profile of a new development. Studies of documentation concerning the reception of the books disclose a more than unusual enthusiasm - but also remarkable prejudices and even obstruction. Cf. for instance the media publicity and the letters, now recorded to the archives on the Moses book-series' own web-site. 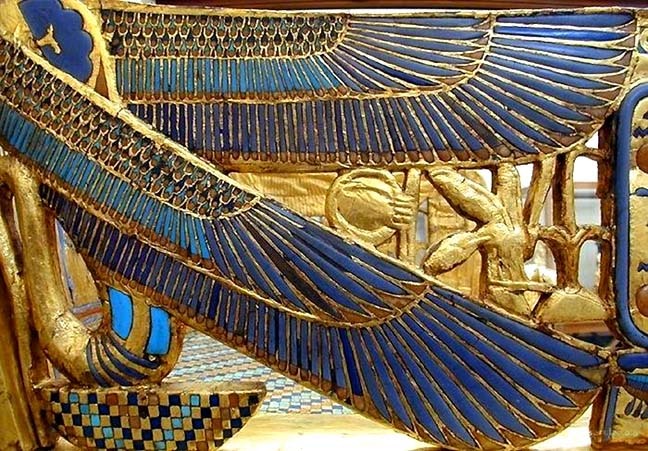 This web-site, www.moses-egypt.net, having soon gained international status as a "cult site", is by itself a special key to providing info for history- and literary studies - and is a valued tool, e.g. by librarians. Also cf. Survey and Site map. Moreover, this library will contain book-format prints of the author's many e-books. OVE VON SPAETH, the Danish Writer, Historian, and Researcher, investigates the ancient, still significant traces and the surprisingly many survived clues concerning the historical Moses - a New Dimension Explored. This task being thoroughly supported by the author being endowed with a substantial basis of historical and astronomical learning and experience. During his many years of intensified studies and research, eventually published in his books and articles, Ove von Spaeth has made comprehensive use of research of archaeology, Egyptian tradition, ancient languages, history of religion, anthropology, and the factual historical important teachings of mystery religion and mythology as well. He throws new light on the unusually abundant and often controversial material, also by using holistic angle - and furthermore being working to expand the base of a special line of science: the cosmology of historical religions. (Cf. present web-site's page about the Author ). "... Regarding Ove von Spaeth's book-series about the historical Moses and Egypt: it comprises more than 25 years of concentrated research and the results - released through five unique works and in addition a special dissertation, the pioneering work on dating the world's oldest star map (Egyptian). In all, it is the most ambitious undertaking of research in the genre of religious-cultural and historical studies... it is also the most comprehensive interdisciplinary science project in this field carried out by a single individual. With respect to Ove von Spaeth's momentous, new-orientating treatise on "Dating the Oldest Egyptian Star Map", published in "Centaurus International Magazine on The History of Mathematics, Science, and Technology" (2000, Vol.42:3, pp.159-179): - a scientific pioneering work which has gained sustained admiration and respect internationally for its non-traditional observations and for finding solutions to difficult problems of key importance to ancient Egyptian astronomy and the chronological perspectives. In addition, the actual findings have furthered research on rendering more accurate the dating of the historical period of Moses ..."
Hans Baron Anckarstjerna, Historian, Editor-in-chief, Journalist DJF, - Swedano Journal, &: EuropeHistory - (2003). "... Danish author Ove von Spaeth appears to be one of Denmark's audacious scientists... He takes a distinctive approach as a historian. Von Spaeth fills the imagination of his readers with his discoveries about Moses ... (and) has prepared a brilliant, logical solution or true stroke of genius ...". "… Heinrich Schliemann, who proved more than a hundred years ago that the Homeric poems were based on historical facts. Just like Ove von Spaeth, who gave up his job as a printer, Schliemann discontinued his job as a merchant, in order to start finding proofs of his hypothesis. Followed by a lot of adversity and mocking, sarcasm and shake of heads from the learned people, Schliemann found his Troy … This could be one aspect for the Danish parallel to Schliemann …". "... The Project description about the structure and goals of your huge project I find extremely successful, - elements and arguments refreshingly clearly presented, in fact the points are very concretely defined. As regards stylistic and structural implementing it is absolutely among some of the very best textual works Ove von Spaeth has produced. On the whole well written, a great appetizer so I got the urge to read more of his things. ..."
C.A. Reitzel Publisher and Booksellar, Ltd. Established 1819 - Soeren Kierkegaard and Hans Christian Andersen's original publishing house - The oldest bookstore in Denmark. Ove von Spaeth's five-volume series, "Assassinating Moses", was first published by C.A. Reitzel Publishers, Copenhagen, beginning at May 1999. The plan was to publish the entire series within a few years, - and the series was completed by the last volume (Vol. 5) in March 2005. FOR THE READERS - the writer wants to express his thanks for an intensive and serious interest, and for many kind letters and QUESTIONS. A number of certain questions are often appearing about the same topics. The following answers are aiming at covering - to the broadest possible extent - the joint wishes about information. ¤ How do we know that Moses was not a mythical figure, and that the Exodus has at all taken place? :: OvS's reply. Continuous and from the very beginning of the creation of the work, such questions are being made about its main subjects. This questioning is often influenced by the circulation of for instance the doubts of certain theological schools as to whether Moses did exist as a historical person. 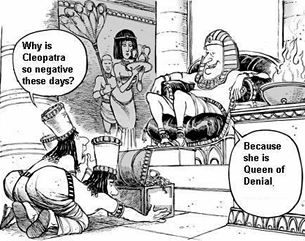 Often the hypotheses in question seem to stem from the fact that the Moses research has been done on a dubious dating, which convincingly must be erroneous dating. In this way he is dated approx. 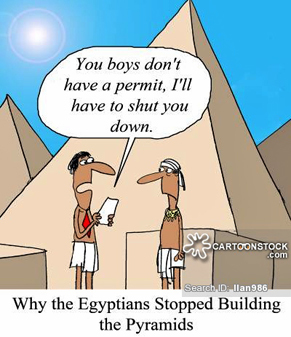 250 years too late often in official history - at 1200 BC - instead of 1400-1500 BC. Consequently no traces have been found of either Moses or the Israelite exodus from Egypt. Based on this defective condition, it is being claimed that the biblical Moses narrative is a national-romantic myth created only 2,300 years ago by ingenious priests in order to create a glorious Jewish pre-history. 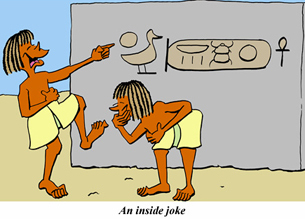 Especially in Egyptian and Jewish sources, however, considerable amounts of evident, historical traces can be found. To a wide extent these traces have been ignored by the opponents due to an unbalanced insistence of the much too late dating and of the myth hypotheses, thus reducing the most spectacular personality of the origin of biblical culture and the Jewish self-understanding to being only a fictive figure. This feature is actually proving to be an impossible historical construction. Definitely, this would also have been a complete and unacceptable absurdity for Jews of the past. "... Nobody would take an interest in something that has not happened to anybody, who has never existed ...". This quotation, presented by Helene Hanff (in her book, "84, Charing Cross Road", about another situation) is also placed as a motto in volume 1 of the Moses-series and still being valid in the current perspective supported by the existence of the many relevant historical sources about Moses. A considerable number of these sources are presented in the work where, for the first time, so many of them have been related to modern archaeology and astronomic dating. The overwhelming material proves it absurd to deal with a mystical figure; on the contrary, the historical and biblical information on this historical person is being thoroughly confirmed even much more than before. ¤ Is it sufficiently reliable that also a number of older, scientific works have been used in the examination? :: OvS's reply. Unfortunately, it has often become a more general practice - somewhat automatically - to anticipate in the media and the academic world that the latest published research book/paper almost inevitably also has to be preferred among the best. This is an unqualified underrating of the foundations hitherto. 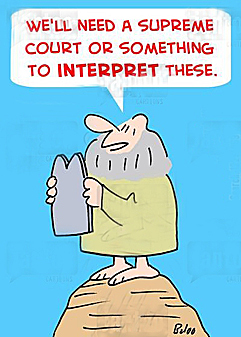 Instead, in the present book-series on the historical Moses, the only reasonable procedure has been to use the best of recent information as well as the best of the scrutinized earlier date materials. But strangely enough - that is not how it hitherto has been to the researchers in question. 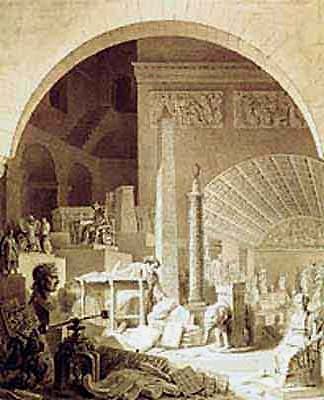 For example, concerning the disciplines of astronomy-mathematics it is worth mentioning that one of the oldest contributions in modern research still in use today, is a piece of work, in French, by Delambre from 1819 about Ptolemy's astronomy. Another example is the incomparable Hebrew expert August Dillmann's works from the late 1800's. In the period of 1885-1935, generations of scientists appeared with a so far unknown, demanding, classical and modern educational background. Great researchers, of a capacity second to none, among which many later emigrated from the Nazis and the war in Europe. Often they became catalysts in their line in the American world of universities and researchers. Their students passed on great parts of the heritage, but later the distance to the roots became noticeable - both in USA and Europe. It became more difficult to dig sufficiently deep into the already founded knowledge and simultaneously in the enormous amounts of the new times' flowing in of information for the different fields of research. In early 1930ties for instance, an English translation of the Rabbinical Writings was finished - editor Louis Ginzberg's "The Legends of the Jews" (vols. 1-7, Philadelphia 1908-1934) - by the way so outstanding in form and notes that it could hardly be surpassed today; however, later editions of this body of the old Rabbinical Writings have not been made. Today, we can often observe less appreciation of this timeless material - and a lack of experience as to the fact that a lot of it could be used as exact data - although the writings in question - printed long ago - definitely cannot be called obsolete. (Information about the Rabbinical Writings: for instance, in the Moses series, vol. 1, Chapter 7; and vol. 4, Chapter 12-13). ¤ Important access to the old works (in our rapidly changing culture)? :: OvS's reply. Also quite indispensable is Pauly-Wissova's German encyclopedia with a fabulous survey and documentation of ancient history and conditions, presented by the most outstanding researchers through almost 100 years - altogether 84 volumes started in 1894 and terminated with the last of many supplements in 1980. A sad day when in the beginning of the 1990's, due to lack of space, The Royal National Library of Denmark, down-graded this collection of classical knowledge, by removing it from immediate access in a place, which was at that time an unmatched reading room and for many years being an important work place for Ove von Spaeth during his research prior to the book-series on Moses. And in addition the problem with short disposal time when lending books from libraries in other countries, caused the necessity of creating a special book collection of important books which have been out of print for generations. To this purpose, through several years, a great amount of such important books were xerox-copied for more than 150.000 DKK, in the 1980's a considerably heavy sum (almost 2 years' salary for a working man) for an independent researcher to provide from own means. Besides, it was essential to Ove von Spaeth's investigations that he had access to one of the world's greatest collections of older Hebrew texts and literature in Denmark's Royal National Library. - Some of the best hours of my life I spent there (see a kind of similar impression here: Librophiliac Compendium of Beautiful Libraries). In a fortunate period prior to the big rebuilding of the Royal Danish National Library after the year 2000, I was able to use its old and immensely abundant reference library, a most paradisiacal reading room which, furthermore, was for a long time in reality Denmark's greatest open interdisciplinary forum (now expired) where many prominent researchers met. Still in the first part of the 20th century, many decisive historical and anthropological discoveries took place not least in the Middle East - in a world which as far as culture is concerned had not been very much different for many thousands of years up to the time of the revolutionary changes after World War II. Then much ancient Oriental "living history" disappeared hastily, for example when it could be observed that the Oriental caravan people began using a strange, modern world's transistor radios on their more than 5,000 year-old routes. Concerning much of the collected, unusual knowledge we are in debt to the élite experts from the early period of researches. Therefore, many of their works are priceless which is why that whole annual volumes of, for instance, German scientific journals dating back to 1920's have later been photographically reprinted - often by American universities publishers. ¤ Which special values do old discoveries have with today's elaborated research? :: OvS's reply. The fact is, however, that in many finds discovered in the late 1800's and forward to today's research hypotheses arose on these findings about possible or not possible relationships to an understanding of the history of the Bible. The hypothesis had in many cases gradually built up a huge apparatus of literature around them. After which later generations were confronted with a still going on generated system of comments' comments and theses new students often got the uncritical impression that several of these hypotheses could be regarded as being the authoritative truth. The analysis performance in question, and which is the very basis of the book-series on Moses, required in many cases the necessity of going back all the way to even the sources brought to light by the earliest generations of researchers. This was done in order to achieve the best possible immediate knowledge of the discoveries and of the way the research results had been brought about. So, instead of only taking the later elaborations for granted, it was often necessary during the work on the Moses research, to analyse the very starting points in relation to newer finds and discoveries. Thus, for instance, when there is a need more than a survey on a certain subject and it is possible to have valuable original knowledge picked up from "old" original excavation reports of archaeology in Egypt or other Near Eastern sites, instead of a sometimes illusionary "easy way" by using the younger but "second hand" quotations as a base for a research work. ¤ How did the work get the unusual title? :: OvS's reply. It is not, not any longer at least, quite as unusual to name a scientific work in this way. - Among the some early examples is an American researcher of the history of mathematics, Robert R. Newton, who, in 1977, published his thesis about ancient astronomer Ptolemy's alleged non-precise observations. These were by Newton hint at as being fraud - then giving his book on this subject a somewhat drastic title, "The Crime of Claudius Ptolemy". Likewise, a title of a book by the English anthropologist Richard Leaky raised attention. With a pun inspired by "West Side Story" being the name of Leonard Bernstein's at that time new world-famous musical, Leaky got his thesis (American Scientist 64:174, 1976) -about the earliest human beings so unexpectedly discovered in Rift Valley at Africa's east side - subsequently made his book about this titled "East Side Story, The Origin of Humankind". When the English philosopher of science, Dr. Jacob Brunowski published his book (1973) with his television series on the history of science, he gave it this title, "The Ascent of Man" - thus playing on another famous book, by Charles Darwin, "The Descent of Man" (1871) - however, both about man's development. In the present case, the name "Assassinating Moses" being the collective title of the book-series on the historical Moses was formed out of a concrete historical basis, in which special information is found, this being hitherto unknown to most people! Thus by this also, inevitably it would raise more attention. Through times it has been attempted to destroy unwanted parts of our history. Such kind of result of "murder on history" has been disclosed by the books' in fact exiting material from the investigation of "Assassinating Moses". 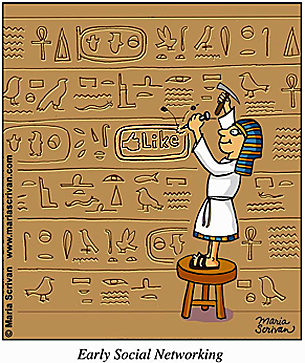 Thus, the book-series' title was created with reference to the historic exact conditions that through three eras it was tried to delete the existence of Moses: - the first time by the Egyptians, who already in his own time tried to delete his names and other memories in order to make him non-existing. 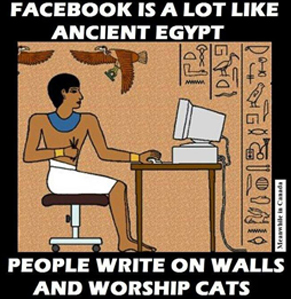 - Later, the priestly editors of the Bible reduced his special Egyptian background and status. - And finally, several of today's theological schools are rejecting the existence of Moses, and are designating him as a freely invented, mystical figure. This modern myth has revealed itself as obviously without any serious basis now as a consequence of the huge amounts of evidence material presented by the books in question. ¤ What does an opposition to the work rest on? :: OvS's reply. A real opposition with arguments and facts has not been seen so far, nor a serious desire to open up the subject for discussion or examination - although this would be necessary also in a broad perspective. For instance, when the use of the expanded archaeological technology, or a time precision by astronomical dating, or mummy DNA-tests proving a mutual kinship - can be related to ancient sources. Besides, the books has been the object of quite an unusual amount of attention - only awarded to a few other works - if the reader's questions (above) are referring to a peculiar action from certain university people and others, via the media, by letters, and even with a pressure via phone and in writing directly towards a number of those researchers and people, who have been of help for book project. So far, a minimum standard of seriousness and legitimate scientific character has not been observed in any of the cases in question. Among other documented examples is the specialist editor and theologian, who, on the special web-site of a big newspaper in my country, placed for a long time manipulative statements about my book-series' www-link. This pathetic way of malpractice as well as such motives represent an involuntary comic effect and have at any rate resulted in quite a good PR on the books. 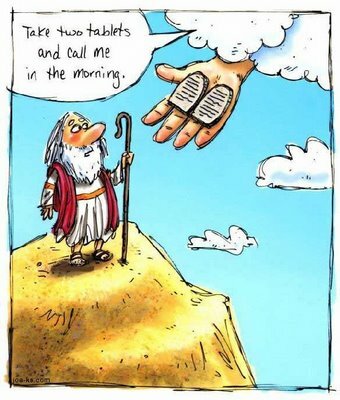 The new views on Moses have been considered so striking that "the messenger boy" should be combated, although it is an existing and often suppressed material presented, which in reality is to be considered as being undermining certain specialist fields of the universities. "... this is a book with which we shall have to fight for many years to come...". - and at TEL's web-site: www.sba.dk , the review is subtitled, "… Tempting, beautiful book - but poisonous !? ..."
The very focus of the historical examinations presented in the work is a remarkably comprising study material, the contents of which have been thoroughly analysed - painstaking and critically. However, none of the books are planned to be polemic or provocative. Nevertheless, the contents seem to have been too controversial to certain academic ideas, even in relation to contemporary knowledge. ¤ Is the Masonic history rooted in the mystery cults of the Ancient Egypt? For instance, among older works of relevance are those by C.W. Leadbeater, the Theosophist. Related and connected information can be found in a book by Christopher McIntosh, i.e. "The Rosicrucians". Among later books or reprints, Leadbeater's "Freemasonry and its Ancient Rites" (Gramercy Books, New York) was published in 1998. "The Hiram Key" by Christopher Knight & Robert Lomas (Barnes & Noble, New York, 1996) should also be mentioned. ¤ What is known concerning Egyptian influence of philosophical ideas? :: OvS's reply. Additional information can be found in the impressive examinations of special conditions in relation to the hidden knowledge of the Knights Templar - originally collected in the Middle East and often also with Egyptian roots. This is mentioned in "The Templar's Secret Island" by Henry Lincoln & Erling Haagensen (Windrush Press, Moreton-In-March, 2000). For instance, an advanced geometry on an impressive scientific level is revealed, and the forgotten, genius methodology is being reconstructed. See also web-site www.merling.dk . Later, a number of unusual texts were later to be of great importance to the Renaissance break up with the Catholic church and for the new thinking as well as for the simultaneously awakening development of science, by which in all branches started on a religious-philosophical basis. Namely, an Egyptian-Greek work called "Corpus Hermeticum" or "The Hermetic Books". Another recommendable scientific work about Egyptology and the European understanding of - and the influence from - the Ancient Egypt is "The Myth of Egypt and Its Hieroglyphs" (1961) by a Danish authority of Egyptology, Erik Iversen, Ph.D.,h.c., Professor, formerly at The University of Copenhagen. This book was independently recommended by, and reprinted by, the Princeton University (Princeton U.P. 1993). And finally, "Egyptian Hermetic Doctrine" (Tusculanum, Copenhagen, 1984), a unique treatise by Erik Iversen, which demonstrates the deep roots of "Corpus Hermeticum" in Egyptian history 4000 years ago. ¤ Is the writer himself connected with the Freemasonic ideology? :: OvS's reply. A number of special information in the book-series on Moses have made readers recognize a few relations to freemasonic pre-history - especially in vol. 1, vol. 2, and vol. 4. The writer is grateful for many valuable statements about having contributed to inspiration. However, his research is focused in another direction: He is not a member of any organization and has not strived for a thorough knowledge in that particular field. But he has only brought to light, and passed on, some basic, often forgotten features with certain exact resemblances with well-known historic relations to Egypt and the Middle East. In this respect this book-series have been found so important that the "Freemason Information", the great Danish Freemasons' Magazine, which hitherto had not very often presented reviewing of books, has given the books due press coverage when the books eventually were being issued. And the books have been purchased, too, for the book collections and libraries of the Freemasonic centres. ¤ The questions about looking up relevant issues within this huge area? :: OvS's reply. The ancient initiation cults mentioned in the books on Moses have brought about different questions from the readers, even about possible, cult related guidance. Again, it can be said that such subjects are not in the focus of the writer, and he refrains from authoritative insight in the subject. Nevertheless, the above mentioned literature may probably be of interest and some help for the readers to look deeper into the subject, for instance, with a new view on certain parts of the "spiritually" related geometry previously mentioned. Cf. also the presentation of certain excerpts, also published in OvS's web site articles like "Pattern, Universe, and Ancient Knowledge" (both on present web-site's Zenith files or www.thirax.dk/artikler/OveSpaeth/Ove4/index.html ). It may also be mentioned, that some of what an inquirer within the huge area in question possibly can add to his/her knowledge, may be what the inquirer can find out by himself/herself - as an individual task. In this field especially the Egyptian inspiration may be a supplement and a perspective to the subject. 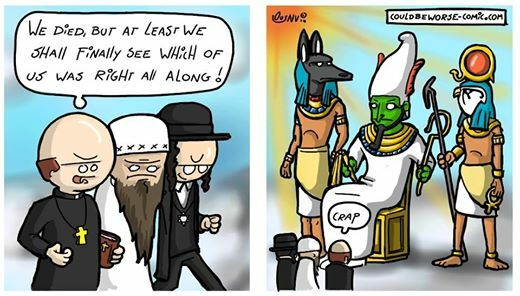 This being an extension of what, for instance, the book-series on Moses have pointed out also about Egyptian spiritually based architecture, ancient mystery plays and ritual traditions. ¤ Would the material have been easier accessible to many readers, if the plot had been written as a novel? :: OvS's reply. Over and over it is asked if the very dramatic, historic material of the books should not rather have been presented as a novel. From time to time several researchers have had such inquiries from readers, who would very much like to have the exciting information, but would prefer this through fiction by its well known communication abilities. Some readers see a reference to sources as a convenient guarantee for the quality of information or an interesting, extra information along the way, while others - quite understandable - see it as too many traffic lights, which will too frequently slow down the speed. Many scientists have used the novel story form, when they have wanted to introduce or try out new thoughts - for ordinary reading an handy, but also more responsibility-free, communication form. The present work is focusing openly upon basic elements to a new understanding of the background of Moses and of important circumstances within our old history. Such a project has never been made before - and might possibly be understood as less useable in practice or for serious evaluation, if the presented discoveries had been described in a way that simultaneously made them less accessible to check up. ¤ What was the reason for examining the special subjects concerning Moses? :: OvS's reply. The re-evaluation of the identity of Moses and his background was necessitated by the fact that a lot of new knowledge had not been related to a number of relevant, ancient sources. An early founded interest by Ove von Spaeth for history and astronomy lead to the acquaintance of the world's oldest star map. Gradually (around 1980), related data from several areas of research made it obvious that it dated from the times where Moses could be living. This observation together with the fact that further relations to Moses could be established, was manifested shortly after in a printed edition as a preliminary and brief version. On-going studies to investigate the historical circumstances of Moses were soon disclosing the existence of much of the research groups' internal confusion about this figure. Without in-schooling of theological hypotheses about Moses, which could pull the study into a certain direction, an all-over free view was maintained from the beginning. And also without any idea of the vast extent of the subject, Ove von Spaeth worked systematically with the disclosure of all the relevant, and often rare, material about Moses - and about chronology. The intense research proved to last for years - and by this the tremendous Moses bibliography was born; also the Egyptian star map was dated for the first time. This has now been published separately as a scientific treatise in the "Centaurus International Magazine of the History of Mathematics, Science, and Technology" (vol. 42¸3, 2000, pp 159-179), as well as in a version published as an appendix to the book-series' volume 2. The contributing experts, of course, have no responsibility at all for the use of their information. The researchers in question have been acknowledged individually in the prefaces of the volumes, on which they have been of help by consultancy, argumentation, criticism, or in other ways. They have often been very courageous when because of their support to the book-series on Moses they had been facing their colleagues' the disapproval in the academic world. The summary of material to an extent - never seen before - in connection with the Moses research implied that the thus inter-disciplinary work hardly would have been made without the help of the many competent and interested researchers.